At 20, the Lord was in Ramanand Swami’s Ashram serving as a humble servant. He was named Sahajanand when Ramanand Swami initiated Him. The Lord became the sole spiritual master when Ramanand Swami appointed Him as the Guru of his ashram. A month later, Ramanand Swami passed away. On the 14th day of the funeral rites, in the village of Faneni, the Lord introduced the new Swaminarayan Mantra. News of this Mantra spread far and wide. And its spiritual power was felt everywhere. Sahajanand Swami now became known as Bhagwan Swaminarayan. Anyone who chanted the Mantra enjoyed samadhi - the ultimate spiritual experience. Those who heard it, wrote it or thought of it experienced samadhi. Others who saw Bhagwan Swaminarayan, heard the sound of His sandals, or discussed His philosophy saw a divine light and beheld the visions of the great incarnations of God - Rama, Krishna and Shiva. Since the trance was an experience of His grace, it was called krupa samadhi. Followers from all walks of life, of all talents and stations, of all positions and powers joined the flock of Bhagwan Swaminarayan. Scholars and music maestros, spiritual seekers and spiritual leaders came forth and took initiation. Bhagwan Swaminarayan was accepted as God Himself and the way of life He introduced came to be known as the Swaminarayan Sampraday. The word 'Sampraday' emphasizes the fact that the Movement, its philosophy and principles have been continually guided and preserved, in all their purity, by an unbroken and untainted spiritual hierarchy of enlightened Gurus. 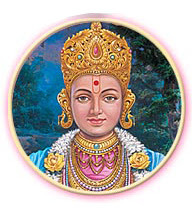 By 49, Bhagwan Swaminarayan completed His mission on earth and returned to His divine abode. Over 2 million devotees had experienced His divinity and hailed His purity. Six magnificent mandirs enshrined His spirituality and several scriptures encapsulated His knowledge. Yet His personality, in all its totality was preserved by His spiritual successor Gunatitanand Swami. On 1 June 1830 CE (Jeth sud 10, 1886 VS), Bhagwan Swaminarayan left His mortal body which was cremated in Gadhada. But long before that He had begun to reveal that He would continue to be present on this earth through a succession of spiritual Gurus. The Lord's eternal words spoken on 8 February 1826 CE (Maha sud 2, 1882 VS) are recorded in Vachanamrut Vadtal 19: "When the Jiva gets a birth as a human being, God or God's enlightened Sadhu are always manifest on this earth. When the Jiva knows and understands them, he becomes a Bhakta - God's devotee." Keeping to this timeless promise, Bhagwan Swaminarayan entrusted Gunatitanand Swami, His Enlightened Sadhu, with the oars of the Sampraday. Baps.org - A good site about Bhagavan Swaminayrayan. Very nice to view your spiritual note.Good.keep it up.